The leaves in Cambridge are getting redder, students are rushing to snap up tickets to November’s Harvard-Yale game, and students and professors have one month of the Faculty of Arts and Sciences' new schedule under their belts — a schedule that has disrupted campus patterns from sectioning to meal times. The new schedule — which Faculty voted to approve in 2017— extends the length of a standard course from 60 to 75 minutes and eliminates “Harvard Time,” a College tradition that allowed students to arrive seven minutes late to classes. Professors are not required to take up the full 75 minutes of the block, which means that students have at least 15 minutes of passing time now between their classes in lieu of accepted tardiness. The new system also requires departments to spread out their course offerings more evenly across the day, resulting in more classes meeting both earlier and later in the day than in previous years. Several professors and students said the new system poses challenges in scheduling discussion sections. Philosophy professor Bernhard Nickel said he had to reschedule sections for his class Phil 3: “The True and the Good” three times. Though Nickel noted that it was not unusual for him to have to readjust section offerings in the past, he said this was the first year he could not find section times that worked for all of his students. Nickel, who also serves as the Director of Undergraduate Studies for the Philosophy department, said he knows of at least two other philosophy courses that have failed to find section times that can accommodate all of their enrolled students. Though Nickel said he is happy and able to meet with students during office hours, he said he remains concerned about providing these students with the same educational experience. USW 35: “Dilemmas of Equity and Excellence in American K-12 Education,” has also encountered problems with scheduling sections, according to the professor of the course, Katherine K. Merseth. The class had to reschedule sections after initially scheduling 90 minute sections, as it had done in past years. 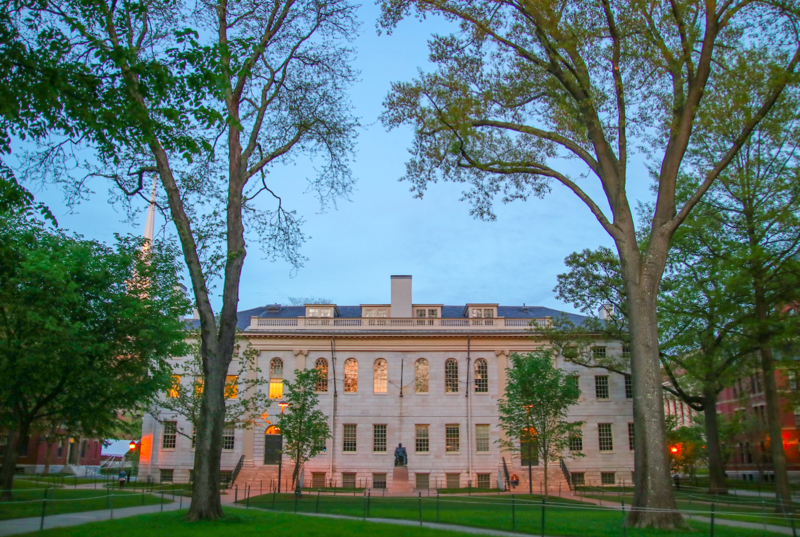 The new schedule, which only affects FAS, has posed issues for undergraduates who want to take classes at Harvard’s other schools. Katherine E. Binney ’19 said she considered enrolling in classes at Harvard Kennedy School but was unable to schedule HKS and College classes back-to-back due to the 15-minute offset between the schedules for the two schools. This variation in schedules across schools has also affected teaching fellows, who study in a variety of schools across Harvard’s campus. “The second thing that has been very difficult is that I employ graduate students from a variety of schools — the Law School, the Graduate School of Arts and Sciences, and the Ed School — and all of the schools have different schedules,” Merseth said. Several students pointed to other challenges of the new schedule, including inconsistencies in professors’ use of the extra 15 minutes of class and decreased flexibility in scheduling multiple classes in a short period of time. Athletes, in particular, have noted that the new system has forced teams to reschedule practices. “For those of us with morning practice, it’s hard to get a whole team together, so practices have been shifted earlier,” Michael A. Medaugh ’21, who is on the lightweight crew team, said. At the monthly faculty meeting on Tuesday, registrar Michael Burke addressed the Faculty and presented a summary of how the new schedule has impacted classes. He said that in response to high enrollments during lunch hours — the most popular meeting time for classes is between 12 p.m and 2:45 p.m. — Harvard University Dining Services has now opened dining halls 30 minutes earlier for lunch and Campus Services has added more Harvard shuttles and departure times. Burkes said departments are not always following the schedule as intended. For example, some professors are using the 15-minute passing time as additional lecture time, and others are signing up for two class slots in a row so that they can teach for 90 minutes. Burke said one adjustment to the schedule he plans to propose before the Faculty Council is allowing seminars that take up the 12 p.m. to 2:45 p.m. slot to delay their start time to 12:45 p.m. Such a change would give students more time to eat lunch and would help reduce the number of courses starting at 12 p.m. Burke said he hopes the change will take effect before the spring semester. Aside from the new course lengths and start times, several students lamented the loss of Harvard time, which gave them an additional seven minutes to get to class. “Instructors allowed students to dribble into class seven-to-nine minutes late, disrupting lecture and forcing instructors to restart activities when each new group of students arrived,” Hersch wrote in an email. Nickel said the extra seven minutes and the addition of 15 more minutes of class time has allowed him to make classes more interactive. “We can include a lot more active learning activities where the students are given a task that they perform in the class to help them check their own understanding of the material, to discover some of the material by themselves, and to have a chance to look at the material with their peers,” Nickel said. Burke said on Tuesday that the registrar’s office will continue to solicit feedback and propose a report to the FAS Dean by the end of the school year, and that any other changes to the schedule will be implemented after this year. Meanwhile, he asked faculty members to send their thoughts to schedule@harvard.fas.edu.